Bill Gates—a very successful entrepreneur with a heart—founded the largest software business in the world along with Paul Allen. His company Microsoft, a name recognized in every household led him to become one of the richest men in the world. He is known for his aggressiveness in business dealings and innovative strategies. Microsoft has redefined the era of technology globally with vision and innovation. A drop out from school, Bill Gates now stands as a role model to many aspiring tech wizards and their dreams to become billionaires. Let us take a look at the family tree of this super successful billionaire. What was Bill Gates’ Family Like? Bill Gates has a rather mixed ancestry, what with his family including people from Irish, German, English and Scot-Irish background. Born of 28th October, 1955, he was the son of William H. Gates Sr., an established lawyer and Mary Maxwell Gates, one of the directors on the Board of the United Way and First Interstate BancSystem. JW Maxwell, his maternal grandmother was the President of the National Bank. He has two sisters, one older to him, named Kristianne aka Kristi and the other one younger to him named Libby. His family followed the denomination of Protestant Reformed and attended a church that was part of the Congregational Christian Churches. His parents encouraged competition in the family irrespective of what the activity in question was. The winner was always rewarded while the loser had to face penalty. Bill’s father William H Gates was a distinguished lawyer; he had also authored a book called Showing Up for Life: Thoughts on the Gifts of a Lifetime. Mary Maxwell Gates was an extrovert, and as a student she was actively involved in student committees. Who was Bill Gates’ Father? 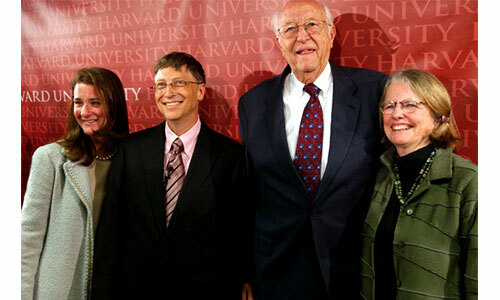 William H. Gates Sr. was the father of Bill Gates. He was a prominent lawyer as well as the co-founder of Shidler & King which later went on to be named as Preston Gates & Ellis LLP. This firm later merged into a new firm which is now known as K&L Gates. He retired in the year 1998 from the firm, PGE. Who was Bill Gates’ Mother? Bill Gates’ mother’s name was Mary Maxwell Gates. She was an American entrepreneur and had served on the Board of Regents of the University of Washington. Other than this her achievements include being the first ever female president of King County’s United Way and the first ever female Chairperson of United Way’s Executive Committee. She was also the first ever woman on the Board of Directors of First Interstate Bank of Washington. Later, she served on the corporate boards of the First Interstate Bank in Seattle, the United Way, and International Business Machines (IBM). Gates has an elder sister named Kristi, who later became his tax accountant. His younger sister, Libby, lives in Seattle with her family. She focuses on raising her two children. Who is Bill Gates’ Sister? Bill Gates has two sisters. The elder one, Kristianne Blake nee Gates is a CPA who specializes in personal financial planning and tax planning. She also served as the partner in Deloitte, Haskins & Sells. Later in 1989, she started her own firm. His younger sister, Elizabeth Gates Armintrout aka Libby is associated with a number of service organizations like schools and support groups. She is a well known philanthropist. Bill Gates met while Melinda was working at Microsoft. She is the co-founder of the Bill and Melinda Gates Foundation. Previously, Melinda used to work as a project manager at Microsoft for Publisher, Expedia, Microsoft Bob, and Microsoft Encarta. After marrying Gates, she left her job at Microsoft in order to start and raise her family. She lives with her children and husband at Lake Washington in Medina. As co-founder of the Bill and Melinda Gates Foundation, Melinda received the Award for Greatest Public Service Benefiting the Disadvantaged by Jefferson Awards, along with her husband. In 2013, she was appointed Dame of the British Empire for her philanthropic activities. 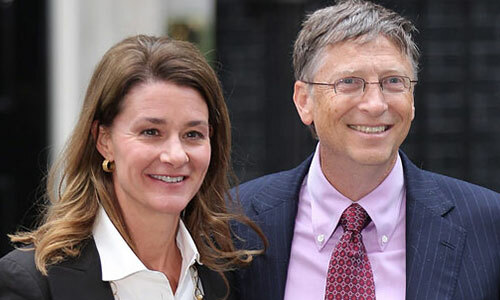 Melinda and Bill Gates have donated more than US$24 billion to the Bill and Melinda Gates Foundation until 2009. She has also donated over $10 million to Ursuline Academy of Dallas, where she completed high school. Who is Bill Gates’ Daughter? Bill Gates and his wife Melinda have two daughters. The elder one, Jennifer Katherine Gates was born on 26th April 1996 and is extremely passionate about horse riding. She actively participated in Florida’s Winter Equestrian Festival which had about 2800 riders from across 49 states in the country. Their younger daughter Phoebe Adele Gates was born on 14th September 2002. Jennifer is the eldest child of Bill and Melinda Gates and loves horse riding. She has participated in the Winter Equestrian Festival in Florida that boasts of 2,800 riders from 49 states. Bill Gates’ only son, Rory, is a student and has a net worth of $20 million. Phoebe is the youngest daughter of Bill and Melinda Gates. Who is Bill Gates’ Brother-in-Law? Bill Gates has two sisters and thereby has two brothers in law. His elder brother-in-law is John Blake, who is married to his elder sister, Kristianne Gates Blake. His younger sister, Elizabeth Gates Armintrout is married to businessman Douglas Armintrout. Who are Bill Gates’ Grandchildren? 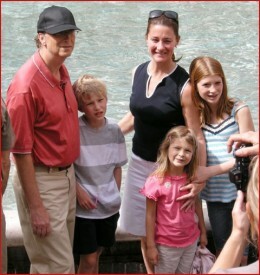 Bill Gates has three children with his wife Melinda – two daughters and one son. However, all the three children are still very young and unmarried. Thus, Bill Gates does not have any grandchildren. Owing to his super-successful computer software organization, Bill Gates has been the richest man in the world for over 15 years. 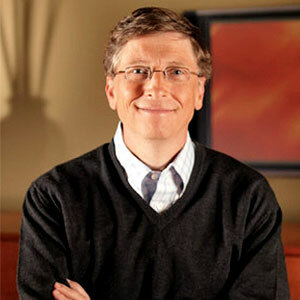 According to the Forbes’ annual list of billionaires, Gates’ net worth is $76 billion as of March 2014.